The IT energy crisis is upon us. After years of seemingly infinite IT resources, there is a pressing need for the European ICT to take a leading role in energy efficiency to become more sustainable, reduce climate impact and achieve competitive advantages, such as costs reduction. How can we become more sustainable in ICT? Endless options are available to those who want to join the energy efficiency quest. One possibility is to increase the efficiency of energy consumption of our ICT devices boosting the lifetime of electronic devices’ batteries. Curiously, also simple behavioural changes can lead to an overall reduction of ICT’s environmental impact. But if you really want be aware of your ICT energy consumption, that’s where ICTFOOTPRINT.eu can help. First of all, in order to improve ICT energy efficiency, it is important to calculate and measure the amount of energy that your ICT products and services consume today. 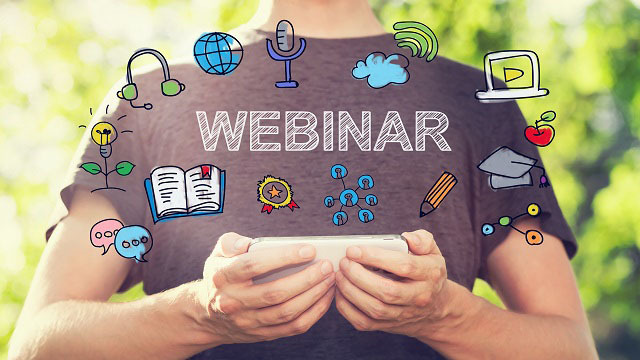 ICTFOOTPRINT.eu organises a webinar on 23 February, 15:00 CET to help you make your ICT energy efficient with new calculation tools & ICT insights on energy savings from Industry experts on sustainable energy. The webinar will give information about the new ICTFOOTPRINT.eu self-assessment tool, an easy-to-use tool to measure the carbon footprint of your ICT services. Furthermore, you will learn how software eco-design enables developers to contribute considerably to improving your ICT energy efficiency, and find out how much impact your everyday behaviour can have on your ICT environmental impact. Thomas Corvaisier, CEO at GREENSPECTOR: will explain how software ecodesign helps lowering the consumption of IT resources, while preserving performance and user experience. Frédéric Croisson, Manager at Deloitte Sustainability: will provide an overview of ICTFOOTPRINT.eu Self-Assessment Tool for ICT Services (SAT-S) and how to use it to calculate the carbon footprint of ICT services, and make informed decisions towards ICT sustainable services. Karen Robinson, Project Manager at Save@Work: will teach employees about how to reduce the energy consumption of their building by making small changes to their everyday energy consuming behaviours. The webinar will be moderated by Silvana Muscella, CEO at Trust-IT Services and member of The Green Grid, a non-profit organisation that promotes resource efficiency in ICT. She has experience on tackling high-level strategy building, coordination, strategic marketing and communication development in ICT, namely energy efficiency. The 1 hour webinar is free and open to all. Learn how to start improving the energy efficiency in your ICT business. Find out about success stories on implementing energy efficiency. Start benefiting from the advantages of improved energy efficiency and reduced energy costs. ICTFOOTPRINT.eu is launching a series of on-line webinars for information, training, and support: free of cost and open to all. The goal is to support players in the ICT sector in adopting energy efficiency processes in their businesses, through a compelling set of tips and tools to tackle energy efficiency issues and to gain a competitive edge from practicing energy efficiency in ICT processes & procedures.